This is that time of the year when best hockey teams compete for the trophies and fans can't wait to see their favorite teams on the top. Young players watch the games to learn from mature professionals. Students skip school, working people take days off and creative minds improvise on makeup and gear to support their teams. Between our corporate meetings we discuss how teams play and make Fridays Wear A Favorite Sport Team Jersey To Work Day. All eyes stick to the arenas and flying pucks. It is payoff time, the time that unites people, make them one big family to cheer for one big goal. Toronto sports are doing pretty good this year. There is something for every sports fan to cheer for. 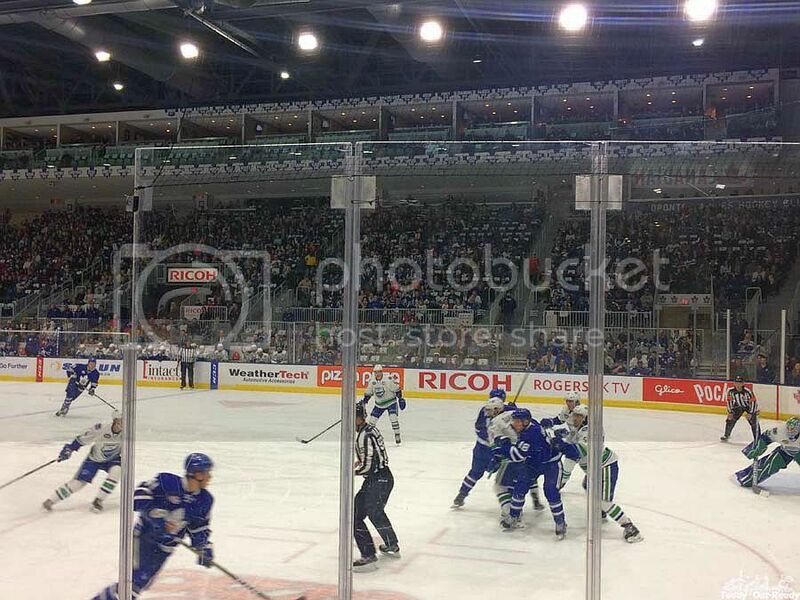 We often go Toronto Marlies game and I can say that playoff games are much different than regular ones. Fights are tougher, more fans come to watch the games and players are more focused, determined and dedicated. These games are interesting to watch and it is definitely great experience for everyone. 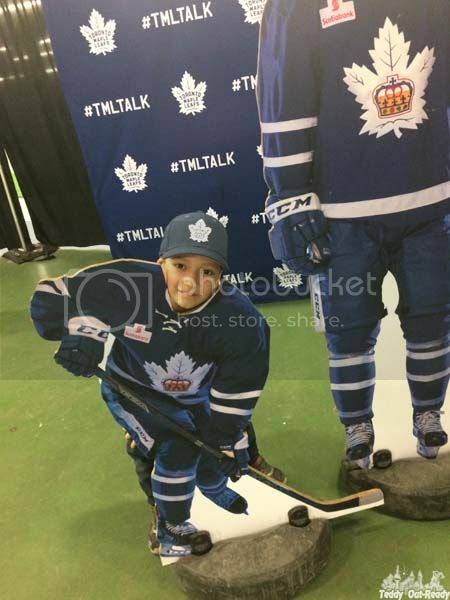 Marlies team is Toronto Maple Leafs in childhood. They show much passion and are getting ready for a big future in the hockey world. Lots of talented players come from Marlies team. 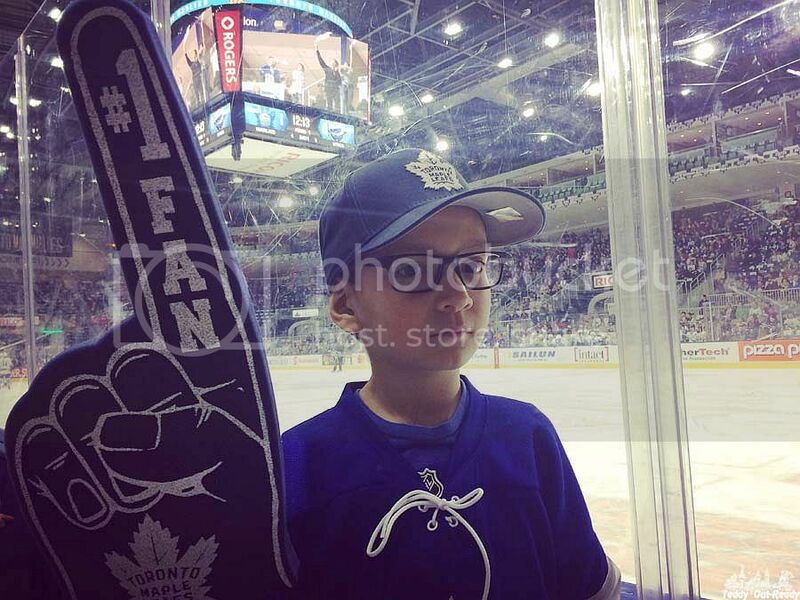 Can you believe we often meet my coworkers' families with kids at Marlies games? It is nice to see that we have something in common besides our financial reports and data analysis. We like that there is a play area where kids can spend some time before the games. It includes the table hockey and soccer, shooting a puck skill test and a photo booth activities. Once we draw posters for the upcoming game. Duke, the team mascot, often comes and has some fun with kids! During the game the audience often goes wild to support the team. The atmosphere at every game is extremely exciting with fans paying close attention to every shot, move and hit. 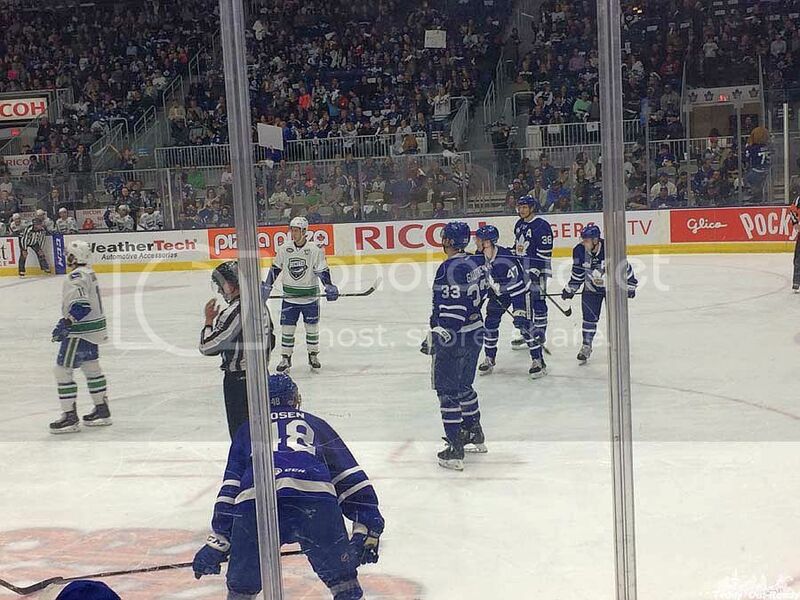 You car hear "Let's Go Marlies" almost every five minutes from various parts of the arena. While we were at the playoff Game 2 when Marlies won, they lost a Game 3 on Wednesday night, but still lead 2-1 in the best-of-five series. Game 4 is scheduled on Friday night, April 27, in Utica and will be broadcast live on Leafs Nation Network. Tickets are selling fast, so if you like to experience real playoff hockey battle then check Ticketmaster for Game 4 and possible Game 5 on April 29 in Toronto! 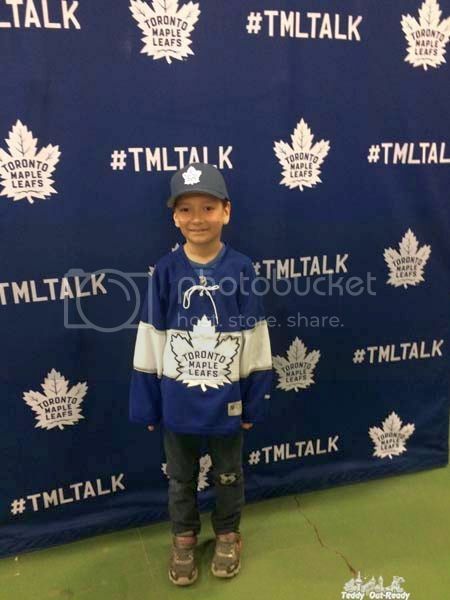 We wish Toronto Marlies spectacular win in the series and deserved Calder Cup in the final!